Hall 2 includes an interactive kitchen which will feature product and cooking demonstrations, designed to provide you, the buyer, with the opportunity to see the latest products in action and to enable you to explain the features of your new lines to your customers in-store. 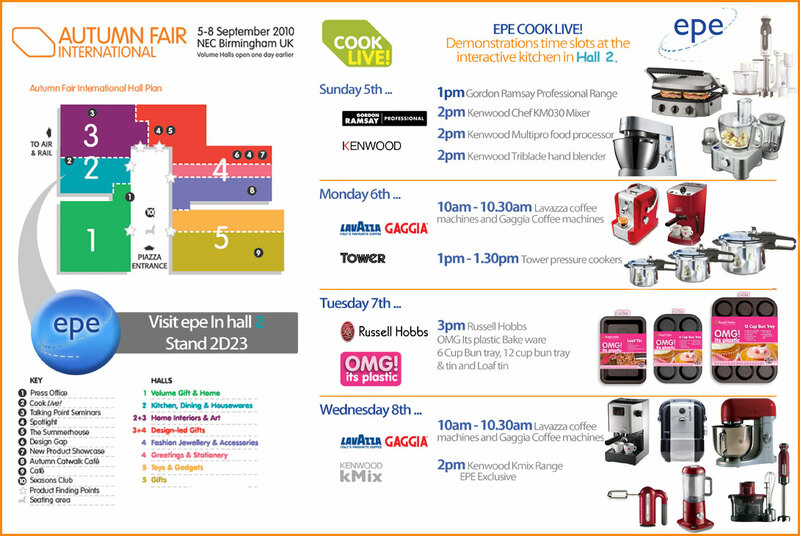 Be sure not to miss EPE’s LIVE product demonstrations featuring premium brand products from EPE exclusive lines such as the Gordon Ramsay Professional range, the Kenwood Kmix range, and manufacturers including Russell Hobbs, Kenwood, Gaggia & Lavazza. 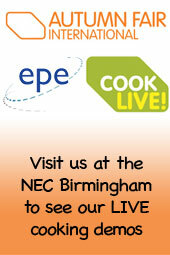 EPE’s exhibition stand can also be located in hall 2 Kitchen, dining & housewares at stand 2D23. 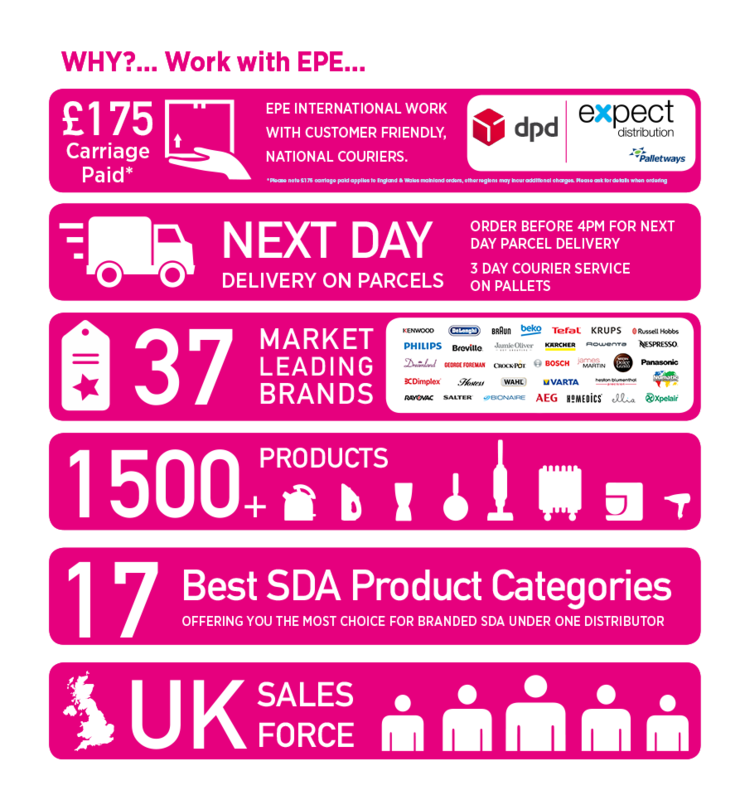 Be sure to pay us a visit and have a chat with one of our sales reperasentatives with expert knowledge and training on all premium products in our range profile, dont miss out on limited offers and deals we will be running exclusivley at the NEC Autumn Fair. Click here to see the times for our LIVE cooking demonstrations.